Greentree’s design team is here to help you develop your landscape project. You may have an idea or a concept of what you would like implemented into your overall design, and we can expand on this. By using our expert knowledge and experience, we will aid you in the execution of your vision. Feeling overwhelmed by all the possibilities? Have no clue what will work for your yard? No problem! We want you to have an amazing yard! Our passion is landscaping, and we can come up with a concept for your landscape right from scratch, after talking to you and taking a walk with you through your yard. With our years of extensive education and experience in the landscaping field, we will use our specialized knowledge to create an exceptional experience for you. From conception, to design, to construction, to everything outdoors, trust Greentree. Pure Landscape Design and Construction LTD. Pure Landscape Design is an innovative high end residential design build company focusing on design and installations of unique landscapes. Jeff Fenske- owner operator of Pure, has more than 17 years of personal golf course and landscape construction experience and is a accredited Landscape Architect in Alberta. Pure is a award winning company specializing in all elements of landscape construction. Continuous, decorative landscape-curbing is one of the most popular options when it comes to giving your yard the perfect finishing touch. It is the only permanent edging that is both highly attractive and cost-effective, and yet has the versatility to please the most discriminating taste. 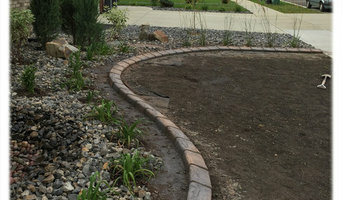 This process has been created by trained individuals, who use the most unique and automated process of decorative curbing, which will complement any landscape setting. It is attractive, versatile, and modern! With many different styles, shapes, patterns and colors to choose from, the options are endless. It can complement both the front and/or backyard, and can be matched to many different current hardscapes that you may have, including brick, stone, slate and many other patterns. By making concrete curbing an addition to your property, whether it is a decorative border or a walkway, you will be reducing maintenance and your yard will be hassle-free. This attractive feature will be sure to raise the value of your home by adding curb appeal. We make it easy - simply choose your color & design, and we’ll do the rest! We can make your backyard dreams a reality. At Ground Rules we strive for excellence; whether your landscape designs have ecological, aesthetic or technical focus, we will help you maximize the potential for your outdoor space. Keeping in mind both style and functionality, our staff will analyze your architecture and yard to produce a custom plan that suits your needs and style from walkways, patios, water features, retaining walls, garden aspects, even maintenance. In addition, we will carefully assess your geographic region to choose plants, trees and flowers that will flourish naturally, as well as address concerns such as drainage, screening and soil conditions. Regardless of size big or small, let us design your backyard oasis! Jansen Landscaping is well known for their distinctive use of natural and manufactured stone products. We work together with top landscape designers to bring your landscape dreams to fruition. Our pursuit of excellence is steeped with inspired design and meticulous craftsmanship. But all that only brings value when it’s tempered in a seamless process leaving customers not only headache-free, but also with a jaw-dropping experience. 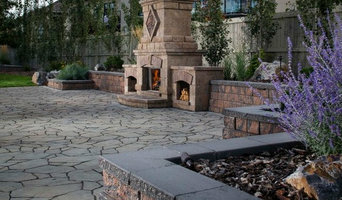 All Star Landscaping Services Ltd.
All Star Landscaping Services Ltd. is a full service, landscaping install and supply company, operating in the Edmonton area. We pride ourselves on premium quality craftsmanship, and top notch customer service. We work with you from start to finish making sure you have a great experience and are completely satisfied with your landscaping project. We look forward to serving you! RCL is a Canadian owned and operated company that provides complete design and build landscape construction services in Edmonton and surrounding areas. Your project, big or small, will benefit from our innovative landscape designers and certified installers. With 35 years experience and state of the art equipment we can complete any job in a very timely manner. We are dedicated to our clients by delivering exceptional service through the knowledge and experience of our staff and the honesty and integrity of our company. We believe through proper construction methods and close client/contractor relationships we can deliver an exceptional product with 100% customer satisfaction. No job is complete until we have delivered on our promises. Recognition of quality and reliable service. Our commitment to our customers is our top priority, RCL has been recognized by the Better Business Bureau as an accredited business since 2001 and has maintained an A+ rating for the duration of that time. RCL has been in business since 1979 and has maintained solid professional relationships with all of our customers and those customers will gladly provide reference to the type of work we provide. As a leading provider of landscaping, we take pride in offering the best landscaping. We are dedicated to serving the needs of our customers each and every day. We use quality products, and are constantly in tune with new products and designs. I define success in a number of ways. Good customer service, we’ve all heard it, but what does it mean to me? It means, being on time, lots of communication, being flexible, understanding what each person wants. Taking care of not just you my customers, but the trades I work with and the people I employ. Success is a job well done, and a smile on everyones face. I have pride in the work we do, and I know you will too! 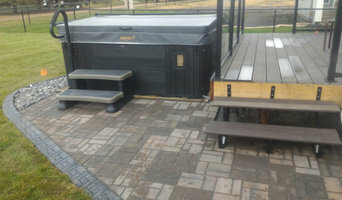 Little Creek Landscaping in Sherwood Park is a fully licensed and insured design build company that offers service from concept to completion. That means we are the last call you need to make to realize your outdoor living dreams. Our team of experienced contractors and professional designers will see your project completed to the highest standards using the highest quality materials and practices. We will create a landscapes that we will proudly stand behind and you will enjoy for years. Our Work is Who We Are Enhancing communities one home at a time since 1965. Salisbury Landscaping is an award winning design and build landscape firm servicing the greater edmonton area. Salisbury Landscaping wants to bring your vision to life and have outdoor moments that fit your wants, needs and budget. Design. Salisbury’s professional landscape designers work closely with you to create a design for your space that enhances your lifestyle and adds value to your home. Build. Your Project Coordinator gets down to work to keep the transformation of your yard on time and on budget. 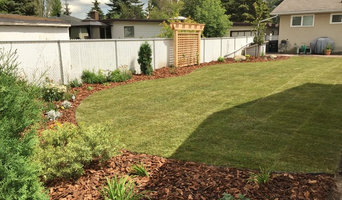 At Good Roots Landscaping Inc, we pride ourselves in providing top quality landscaping services and customer service to Edmonton & the surrounding area. Our team consists of dedicated owner/operators & outstanding employee’s, making this company a true pleasure to deal with for any project. From full property developments to landscape renovations, we have landscaping solutions to fit all of your personal needs, desires and budget. Regardless of the services required: "Every yard needs good roots." What does a landscape architect or landscape designer in Edmonton, AB do? Landscape architects in Edmonton, AB, who typically belong to the Indian association of Landscape Architects (ISOLA), are trained to develop comprehensive structural plans that include plants, hardscaping, water use, drainage and more. They can also design any structure that will be added to the landscape, such as gazebos, retaining walls and other garden features. Typically, the expertise of an Edmonton, AB landscape architect can apply to understanding your space and natural environment. They work closely with architects and other contractors to develop your landscape or garden in accordance with the other plans. 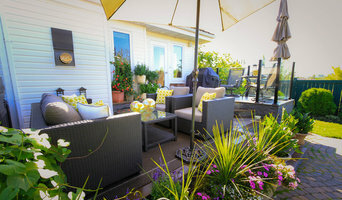 Landscape designers or garden designers in Edmonton, AB specialise in aesthetics and horticulture. Keeping in mind both style and functionality, a landscape designer will analyze your architecture and garden to produce a plan that may or may not include location and materials for walkways, patios, water features, garden aspects and more. In addition, he will carefully assess your geographic region to choose plants, trees, and flowers that will flourish naturally, as well as address concerns such as drainage, screening and soil conditions. Certain landscape architects and designers in Edmonton, AB only help with the planning portion, while some may deliver the plans and then oversee a hired landscape contractor. Others follow a design-build approach — take care of both the design and all aspects of the landscape architecture and construction. Why should I hire a landscape contractor in Edmonton, AB? Don’t have a green thumb to main the lush and lovely grounds that will be the envy of all your neighbours. Hire a gardener or landscape contractor in Edmonton, AB to create and maintain your garden. Landscape firms in Edmonton, AB will be able to bring your outside space to life with flowers, plants, trees, shrubbery, lawns and all sorts of verdant, floral features. Landscaping companies in this category execute gardens that have been drawn up by a landscape designer or architect, while some can also provide design services of their own. Gardeners in Edmonton, AB, on the other hand, will deal only with lawns, plants, trees and flowers. With a thorough understanding of horticulture and will be able to choose plants, garden edging and materials that will complement your home and thrive in the climate. A good Edmonton, AB gardener will take care of weeds and pests, and perform other tasks such as pruning to keep your garden looking its best. Find landscape firms on Houzz. Narrow your search in the Find Pros section of the website to landscape contractors & architects. You may also look through photos of landscapes to find one you like, then contact the landscaping company in Edmonton, AB who worked on it.